Integrative space supports healing on more than the physical level, but also on the emotional, mental and spiritual levels as well. Creating a room with the focus of helping a patient feel safe and comfortable, like they might if they were home, is the aim of integrative space. When healthcare design is done thoughtfully, the concepts of placemaking are innately incorporated into the design process, creating spaces that are unique and draw people in, facilitating communication and providing a distinct, positive environment. The users of these space might not be able to articulate why they feel good when they’re there; they just know that they do. Placemaking should become part of every healthcare design conversation and project. Providing a patient a place where they feel at home is crucial to healing. There are a multitude of studies indicating that if a patient feels secure and comfortable, they will heal better and faster. The Karolinska University Hospital in Sweden studies the results of pre-term babies, some of whom were hospitalized in their original facility which limited the time the parents could be with their child, and come were placed in their new facility where parent were able to hold the baby at any time and for as long as they wanted. 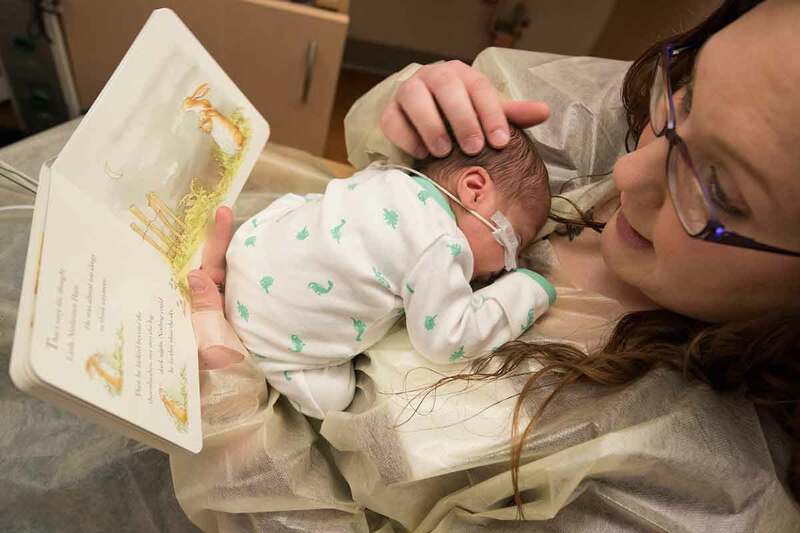 The babies in the new facility had a reduced mortality rate, their weight gains were higher, the families felt better informed, and on average the babies went home 10 days earlier than the ones in the original hospital. We all heal better when we have a safe place in which to do that. Every healthcare facility should have the vision of placemaking, where integrative health principles are part of the design. Although a patient may not be able to target what exactly is “right” about the space, they feel better being there. They feel “at home.” And home is where the health is.